Not a funnel cake, nor funnel charts, it’s funnel plots! A funnel cake with powdered sugar, nom nom nom! Growing up in New England, we had fried dough as the county fair’s mix of white flour, hot oil, and sugar. I wasn’t introduced to its crispier cousin until a trip through Pennsylvania and they became my favorite. 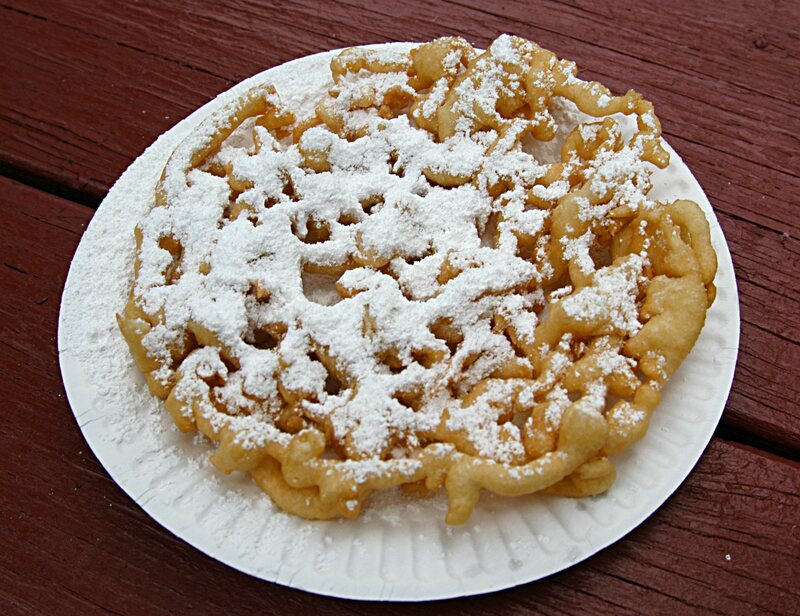 But I’m not writing today about funnel cakes – delicious as they are – nor the funnel chart, I’m writing about how to build a funnel plot in Tableau. What’s a funnel plot? A simple explanation is that a funnel plot is a form of control chart that alters the control limits based on the size of the sample. This is useful when there can be a wide variation in sample sizes between entities, for example when evaluating mortality rates for hospitals where one hospital may have 1,000 cases per year and another 100,000, or performance on a particular physician quality metric such as readmission rates per physician where the panel size may vary from 50 patients to over 1,000. So far, I haven’t seen anyone else build a funnel plot in Tableau, and hopefully after reading this post you’ll have an understanding of why solving this was as sticky as a funnel cake covered in melted butter & sugar, have a better sense of how Tableau takes in data to draw marks, and be able to build a funnel plot yourself. This entry was posted in Tips and Techniques and tagged control charts, funnel plot, funnel plots, process control charts, proportions, standard error on December 3, 2013 by Jonathan Drummey. This entry was posted in and tagged control charts, funnel plots, R, spc, statistics on November 10, 2013 by Jonathan Drummey.